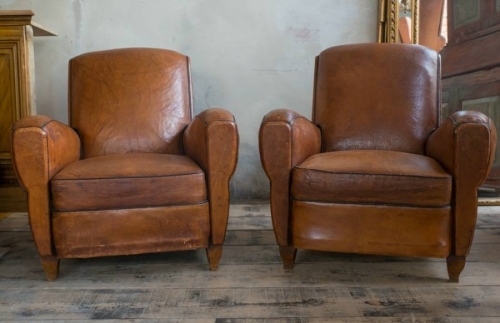 Charming Pair of French Club chairs c 1950, with fixed cushion seats. In good overall condition. Firm springs.